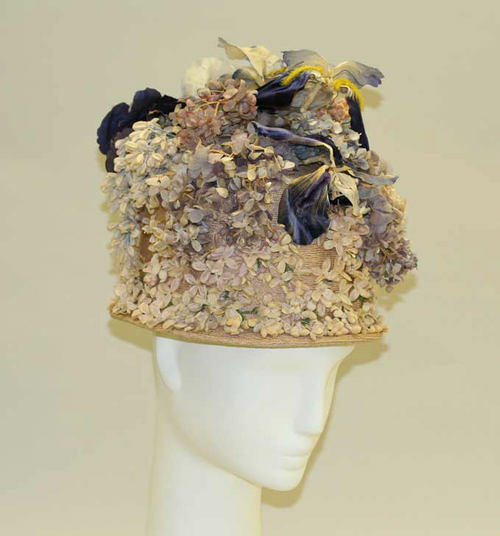 From the 1870s until the 1930s the label of Caroline Reboux (1837-1927) dominated Parisian millinery fashions. 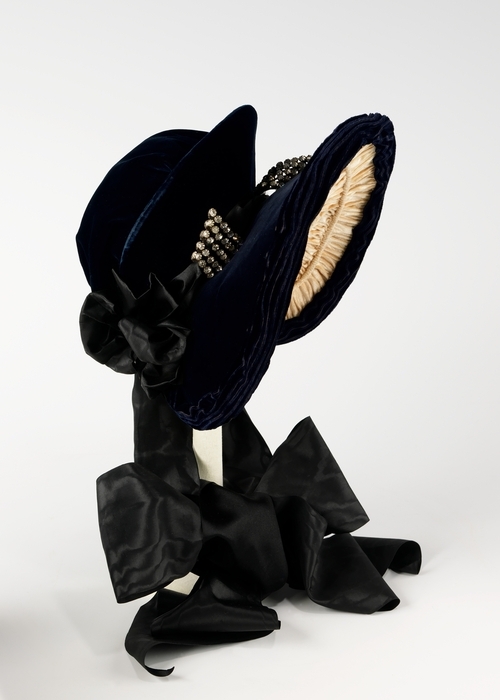 Caroline Reboux began her career as a penniless but talented young milliner. Her work was discovered and promoted by the fashionable Princess Metternich and in turn attracted the custom of the Empress Eugenie, wife of Napoleon III. 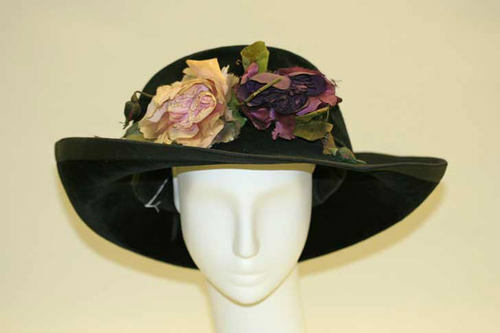 In later years the House of Reboux was run by the milliner Lucienne Rebate. Reboux was known for her clean, simple style using fabrics such as satin, velvet and felt which were draped or cut with a minimum of added or fussy details. Feathers were a favourite embellishment. 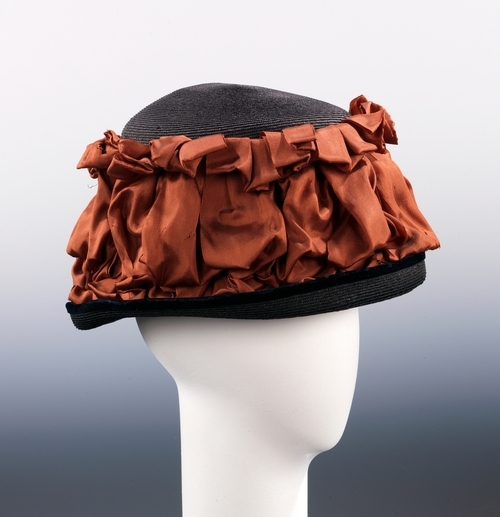 In the 1920s Reboux was highly regarded for her cloche style hats, which were often cut and formed on the client’s head. 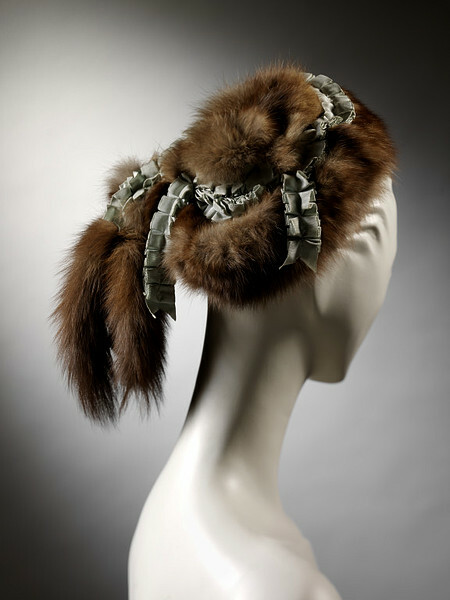 I agree with heidenkind about that fur hat. To me it looks like someone was trying to do a ponytail for the first time and failed. But I absolutely love the evening bonnet. The velvet hat just before is also a favorite of mine. of course as tall as I am those are probably the only ones that would be a good fit. Well maybe the straw toque too, but the orange fabric would have to be changed to a different color.